High Peaks Pure Earth has translated a poem titled “Kumbum On A Journey” by a Tibetan blogger whose online name is “Madman”. 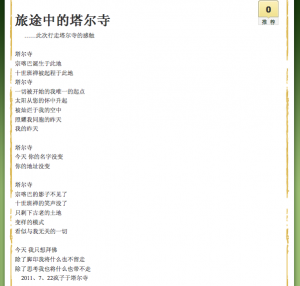 The poem was written on July 22, 2011 and posted on his TibetCul blog on August 17, 2011. Kumbum Monastery featured here on High Peaks Pure Earth in July 2011, we translated an open letter written by the monks and local residents to the authorities appealing for action to be taken over the lack of clean drinking water in the area, brought on by intensive mining activities. The place of Tsongkhapa’s birth? My only starting point where everything of mine starts? 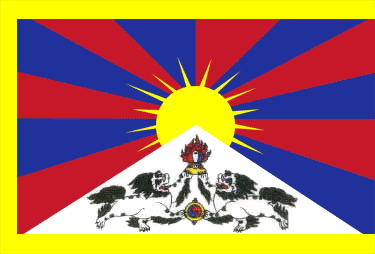 Illuminate the yesterdays of my compatriots? The Tenth Panchen Lama’s laughter is gone? What remains is only the ancient soil? That seemingly has nothing at all to do with me? Today, I only want to pay homage to Buddhas?